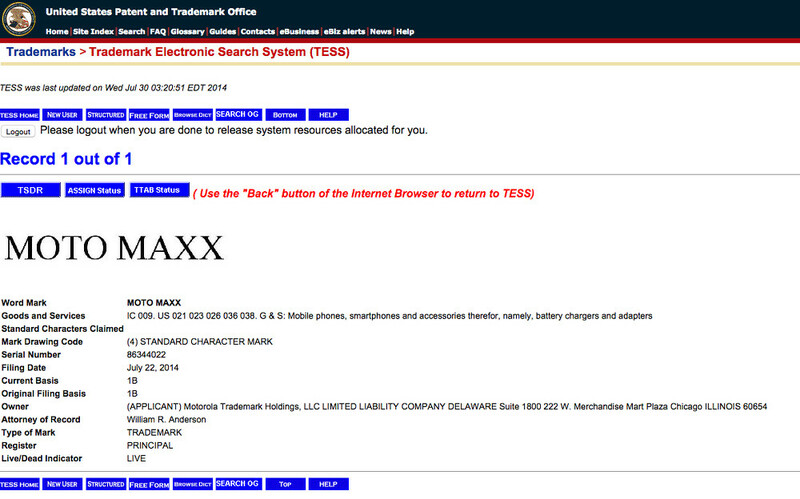 A reader of ours pointed out this morning that Motorola recently filed for a trademark of the name “Moto Maxx,” a name that could be used in a new smartphone. For those new to the name “Maxx” and Motorola, just know that the tag when attached to a phone usually means massive battery life. Does this mean the Moto line, which currently includes the Moto X, Moto G, and Moto E will also get a battery-beast brother?